Visit Eureka! 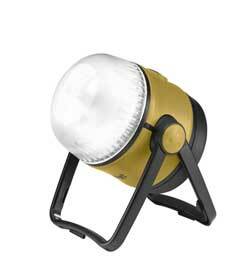 's Warrior 400 LED Lantern page. 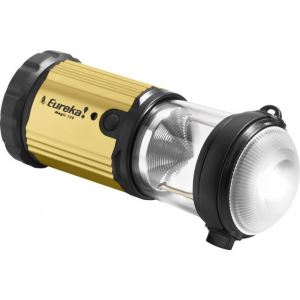 Eureka's portable lanterns provide quality lighting with longer run times through the use of high-end LED lighting. 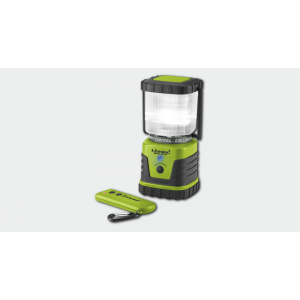 The Warrior 400 LED Lantern is a bright, long running, versatile lantern for camping, general outdoor or emergency use. 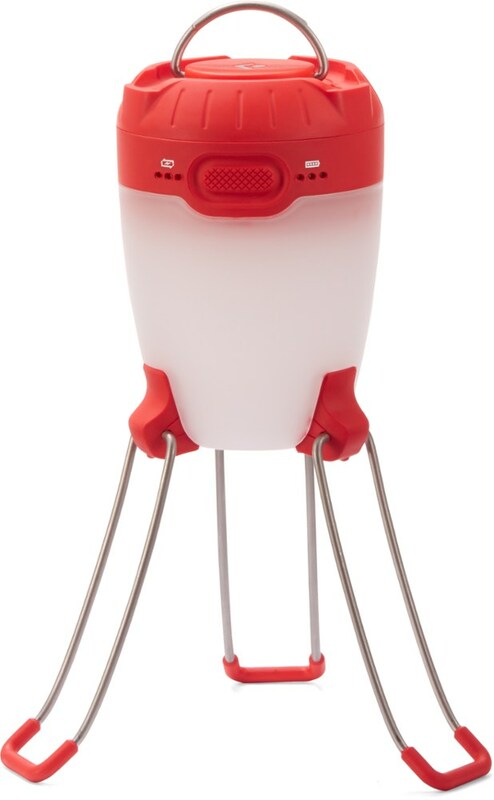 It transforms from a lantern to hanging light for the tent with use of carabiner hook and also features directional white and red LED lights on back of lantern. 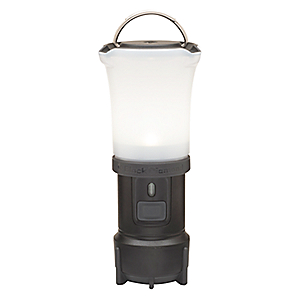 Lantern is powered by 4 x 1 W Nichia white LED's providing 400 lumens for 2.5 days on high, 5.5 days on low, and 6.6 days in flash mode.Remove lantern diffuser globe for bright projected lighting.Directional light provided by 1 x 0.5 W, 25 lumen Nichia white LED operating for 10 days or 2 x 5 mm red LEDs running for 16 days or 33 days on flash. 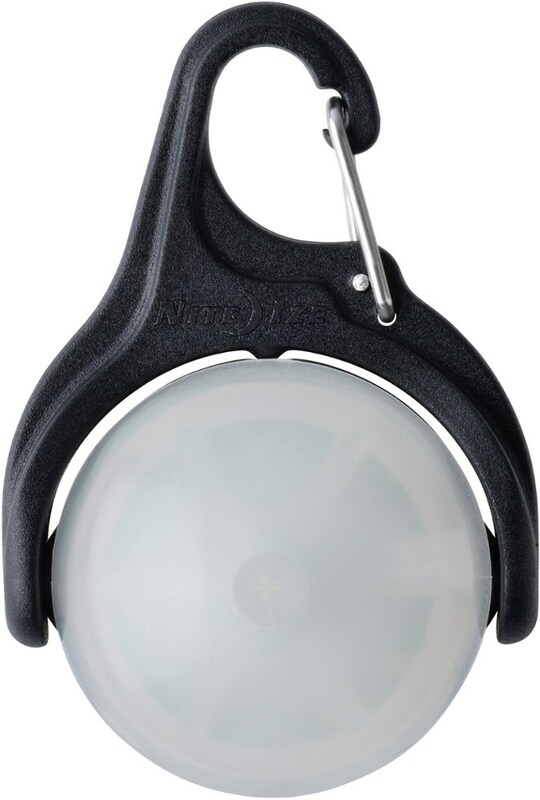 Rubberized handle for easy carrying or hanging. Durable housing for years of performance.Water resistant. Lumen Output: 400LED Type: NichiaRun Time: High 2.5 days / Low 5.5 days / Flash 6.6 daysRegulated Circuit: YesIPX Rating: 4Size: 4.8" x 4.8" x 9.5"Weight: 61.2 oz.Batteries: 6 D (1.5V) alkaline batteries (not included). The Eureka! 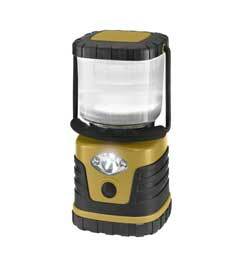 Warrior 400 LED Lantern is not available from the stores we monitor. It was last seen October 29, 2012	at SunnySports.